Someone's swiping salmon — and police need your help to find the fish thief. 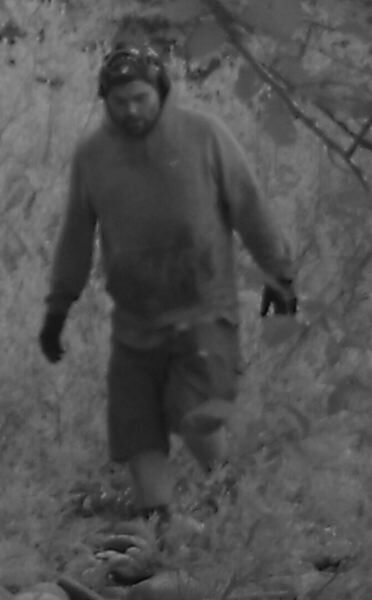 Surveillance cameras captured images of an unidentified man who was recently spotted at the Bull Run River Fish Trap located north of Sandy near Dodge Park in rural Clackamas County. Troopers with the Oregon State Police Fish & Wildlife division say the suspects are likely guilty of trespassing, vandalism and theft of salmon. Equipment used by the Oregon Department of Fish & Wildlife was also stolen. The theft was announced Thursday, Dec. 6. Anyone with information is asked to call Trooper Mark Kingma at 503-779-3623.